Yeh Rishta Kya Kehlata Hai actress Shivangi Joshi is on cloud nine. The talented actress just gifted herself a new set of wheels. It is a Jaguar no less. The petite lady shared a video where she joyfully removes the cover from the car. In India, three models of Jaguar are sold and the price starts from Rs 50 lakhs onwards. Dressed in pink, Shivangi looked radiant as she goes to take delivery of the car along with her parents. 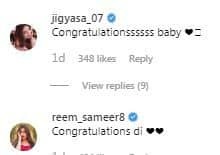 Congratulations have come pouring in for the actress from friends like Surbhi Chandna, Shweta Tiwari, Shrenu Parikh, Ashnoor Kaur, Jigyasa Singh, Reem Shaikh and others. Two months ago, Surbhi Chandna bought a BMW car. 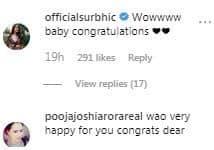 In fact, Surbhi Chandna was one of the first to congratulate the young lady. The love for hot wheels runs through the entertainment industry. Female actresses like Divyanka Tripathi Dahiya, Anita Hassanandani, Krystle D’Souza and Erica Fernandes also own luxury cars. While the first three have Mercedes sedans, Erica owns a BMW. Shivangi’s fans are extremely proud of her achievements. The young lady has touched milestones at a very young age. Dehradun girl Shivangi made an impression as Poonam from Begusarai. However, it is performance as Naira in YRKKH that is the talk of the town.